Remember that “Peanuts” character perpetually engulfed in a cloud of dust? As it turns out, Charles M. Schulz, Pigpen’s creator, was on the cutting edge of science. Even more ahead of their time were ancient East Indian mystics who spoke of an aura—healthy or unhealthy— surrounding every person. And that’s not all. Thanks to research conducted by the BioBE scientists, we now know that each of us emits a one-of-a-kind microbial cloud, consisting of trillions of microbes, into the surrounding air. “The microbes make a unique cocktail for each person,” Meadow says. When you are attracted to someone, your microbes may be communicating. When you smell body odor, good or bad, you are inhaling some of that person’s microbial cloud. When a family moves into a new home, it takes less than a day for the new house to look, microbially, just like the old one. “And when you stay in a hotel room, you change the microbiome in a matter of hours,” Meadow says. The BioBE Center is an interdisciplinary collaboration between biology researchers and architects from the university’s Energy Studies in Buildings Laboratory (ESBL) who are working together to better understand how the indoor environment is shaped by humans—and how inhabiting buildings and other indoor spaces influences our health and well-being. Funded by the Alfred P. Sloan Foundation, the center is headed by Jessica Green, associate professor of biology—also a member of the UO’s Institute for Ecology and Evolution—and Kevin Van Den Wymelenberg, associate professor of architecture and director of the ESBL. The ESBL has a natural connection to the BioBE, Van Den Wymelenberg says. “We need to understand the synergies between biology and the built environment so that we can create energy design strategies that are also healthy for people, and that add to health, comfort, and productivity.” With the growth of energy-efficient buildings, indoor environments have become a hot topic. 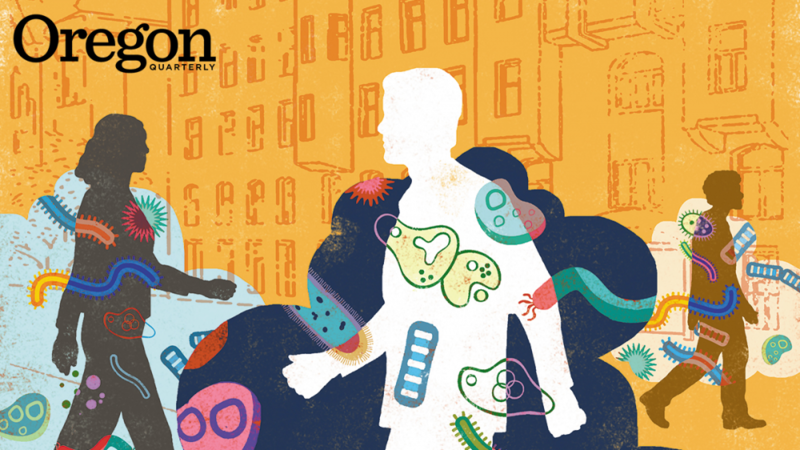 Getting a handle on how to make them healthy requires understanding what types of microbes humans emit into their surroundings and how the design, construction, and ventilation of any built environment—whether it’s a home, office building, medical center, or vehicle—affects its microbial population. It’s not easy to measure the human microbial cloud because we are not the only microbe-rich occupants of buildings. We share that attribute with the dust in the corners. When we walk around, the dust gets stirred up and our microbes get mixed together. “We’re like an 18-wheeler going down a dusty road,” says Meadow. 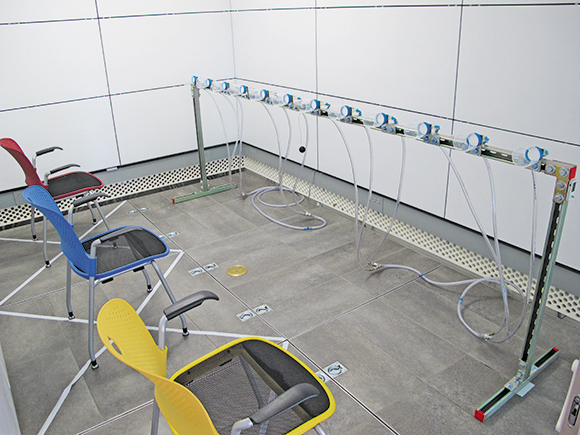 So the BioBE researchers needed to find a place where they could measure the human microbial cloud in a dust-free setting. The research took place in a tightly controlled climate chamber (affectionately known as the pickle box) at the UO’s White Stag Block in Portland. The chamber, with radiant-heated walls, ceilings, and floors, is primarily used by architects who seek to understand comfort and energy design in buildings. Each person’s cloud was identifiable for hours after the person had left the chamber. “It’s like a fingerprint,” says Van Den Wymelenberg. That’s how much of their lives most Americans spend indoors. According to a study sponsored by the Environmental Protection Agency, we spend 87 percent of our time in buildings and an additional 6 percent in some sort of enclosed vehicle. That doesn’t leave a lot of time for breathing fresh air. And that’s the focus of the BioBE Center. Lillis was a perfect study site because half of it is naturally ventilated and the other half uses an HVAC system. The HVAC side was found to have many more human-related microbes, and as might be expected, the rooms that are ventilated with windows have higher amounts of microbes, fungi, and bacteria from the outdoors. Different types of surfaces tended to have concentrations of different microbes, with desks collecting mostly microbes found on skin, chairs having more gut microbes, floors having mostly soil microbes, and walls mostly air microbes. Her studies are focused on how the use of antimicrobial chemicals found in soap, toothpaste, paints, carpeting, clothes, bedding, cutting boards, flooring, and other materials contributes to the growth of antibiotic resistance in dust microbes. She also hopes to determine whether bacteria in dust that contains high levels of antimicrobial chemicals have developed genes that make them resistant to the antimicrobial cleaning products, or to antibiotics we use to treat infections. A third area of BioBE study is the interaction between dust and light. 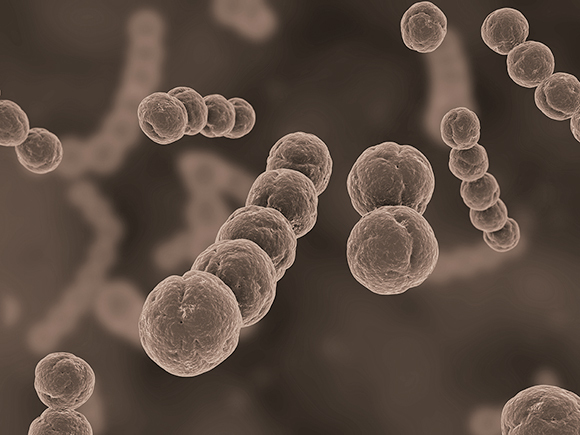 How are bacteria and fungi affected by ultraviolet radiation? The researchers are studying the effects of creating high levels of daylight inside buildings and have found that it makes a very positive impact on our microbial environment, which in turn affects our physical and psychological health. “Our advice is to put the people who are working in offices all day in natural light,’” Van Den Wymelenberg says. To see how dust reacts to sunlight, they created what they call “daylight boxes” (miniature rooms) and put dust in them. 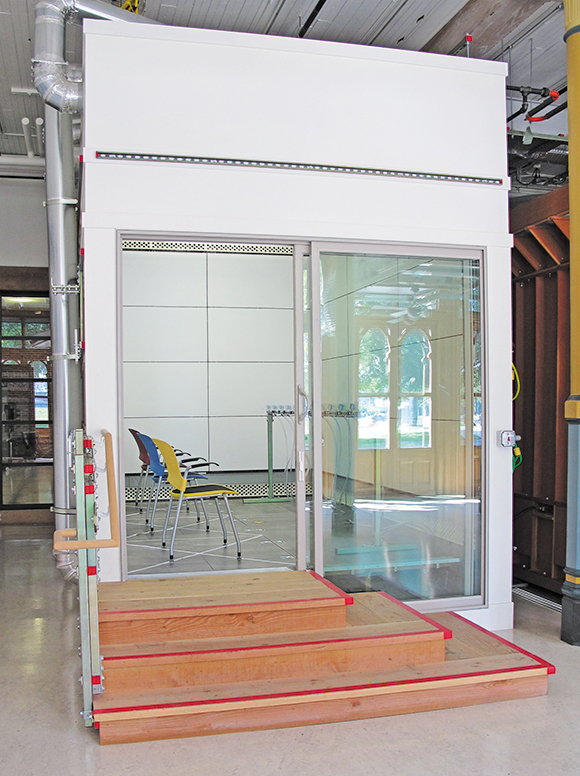 The boxes were put on the fourth floor of the UO’s Pacific Hall, where they could capture sunlight. The study will help show the impact of solar exposure on the populations of microbes, fungi, and bacterial compounds in the dust. Another climate chamber study is also underway, in which researchers will examine the clouds of three people at a time instead of one. The goal is to determine how far each person’s microbial cloud extends when they are sitting still and whether the clouds have a spatial structure. They will also experiment with different air circulation patterns and temperatures to see how the cloud is affected. None of this work would be possible without the huge advances that have taken place in DNA sequencing. “It took us 10 years to sequence the human genome, but now we can sequence DNA in an afternoon,” says Meadow, who is now working as a data scientist at Phylagen, a company that performs microbiome analysis for the commercial, food processing, health care, and transportation industries. “We are at a time when the technology is exploding, and we can ask questions that were impossible to ask. Rosemary Howe Camozzi, BA ’96, is a former senior writer and editor for OQ.